"In two hours the ioniser will be useless. And then the glaciers will move again. Five thousand years of history crushed beneath a moving mountain of ice!" DOCTOR: Well, that we shall never know, Jamie. What's the matter with you? Are you cold or something? JAMIE: Oh it's all right for you in your home made Yeti kit. DOCTOR: Yes, I suppose there is a little bit of a nip in the air. JAMIE: A nip? A nip? Just look at my knees. They're bright blue. DOCTOR: What a horrible sight. JAMIE: Could you not land us somewhere warmer next time? DOCTOR: Jamie, you never know, do you? Unfortunately they're straight back in the cold and snow again this week and Jamie doesn't think they've moved that far at all! JAMIE: Oh no, not again. Tibet was bad enough, but I think you've put us down just further up the mountain! 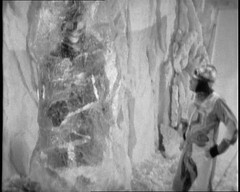 Like Tomb of the Cybermen we've got a variation on a classic movie theme: here (also influencing Tomb) it's "something frozen in the ice". Everything else is dressing round that idea. But.... Oh dear the science in this episode makes my head hurt! For a start there's been considerably more than one Ice Age before, Leader Clent take note! CLENT: I present you a problem. All the major continents are threatened with destruction under the glaciers of the second ice age. CLENT: How would you halt the ice surge and turn the climate back to normal? Forty five seconds starting from now. DOCTOR: Oh, possible causes. The reversal of the magnetic field. CLENT: No such change has occurred. DOCTOR: Interstellar clouds obscuring the suns rays? An excessive burst of sunspot activity. A severe shift of the Earth's angle of rotation. DOCTOR: There aren't that many alternatives. Gigantic heat loss? CLENT: I asked for an answer, not a question. Twelve seconds left. DOCTOR: Oh. Oh, well, in that case the answer's simple. A severe drop in the carbon dioxide level in the Earth's lower atmosphere. Is that it? JAMIE: Well, is he right? VICTORIA: Oh. But I still don't understand. DOCTOR: Well, the carbon dioxide level in the Earth's atmosphere helps retain the sun's heat. Take that gas away, and there's a sudden freeze up. JAMIE: Oh, where does the gas go to? CLENT: You know how efficient our civilisation is, thanks to the direction of the great World Computer. And you also know how we conquered the problem of world famine a century ago by artificial foods. CLENT: On the land that was once used to grow the food we needed, we built up to date living units, to house the ever-increasing population. CLENT: Well, there were exceptions, of course. I mean, this house was classified as being of historic interest. So, the amount of growing plants on the planet, was reduced to an absolute minimum. DOCTOR: No plants, no carbon dioxide. CLENT: Then suddenly, one year, there was no spring. Even then it wasn't understood. Not until the ice-caps began to advance. The explanation of Greenhouse Gasses being needed to maintain the Earth's temperature is pretty good apart from one awful error: plants don't give off Carbon Dioxide: they absorb it using photosynthesis which creates Oxygen as a by-product. Removing all the plants will cause Carbon Dioxide levels to RISE drastically. Deary me, that's a pretty elementary error, and although our understanding of Greenhouse Gasses has come on much in recent years I'm pretty certain that Photosynthesis was properly understood in 1967. I'll assume Kit Pedler, the show's unofficial scientific advisor, wasn't hanging round the Doctor Who office when this was made. VICTORIA: Oh, Doctor, it's just like my home. The Georgian mansion annoys me too: was it in Brian Hayles' script or did the crew nick an existing BBC set of a Georgian Mansion as a cost saving technique and stuff it full of computer equipment? ARDEN: A fantastic discovery in the ice. CLENT: Your task was to set up movement probes in the ice, not indulge in amateur archaeology. ARDEN: This is a man! CLENT: Oh, congratulations. Makes a change from fossils. Now leave it and return. ARDEN: I'm bringing the body back with me. DOCTOR: You see, this fellow Arden has set the electricity so that the ice melts very slowly, allowing for the resistance. VICTORIA: It's working quite quickly. DOCTOR: Well, I suspect there are some impurities in the ice. NO! You don't melt it, you stick it straight in the deep freeze to preserve it! Idiot! I've been entertained by episodes of Doctor Who, bored by them and failed to follow them so far: this is the first time one's *really* annoyed me! Onward onto the stuff I liked: The idea of thinking it's a trapped and preserved Viking Warrior is a good one, and similar preserved archaeology has been found in glaciers in this way. ARDEN: A giant among prehistoric men. WALTERS: See the kind of armour he's got on? ARDEN: Yes, that's rather strange. He looks pre-Viking. But no such civilisation existed in pre-historic times, before the first ice age. WALTERS: Proper Ice Warrior, isn't he, sir? DOCTOR: Well the helmet, it's wrong. When this man was frozen to death only primitive cavemen existed. ARDEN: Well I say it's an undiscovered civilisation. Think of the implications. DOCTOR: I say. Look at that. DOCTOR: It's an electronic connection. I'm sure of it. DOCTOR: Now you wait here, and don't touch anything. Leaving Jamie and Victoria by themselves leads to one of the biggest bits of flirting yet between the Doctor's two friends! JAMIE: You see how those lassies were dressed? VICTORIA: Yes, I did. And trust you to think of something like that. JAMIE: Well, I couldn't help thinking about it. VICTORIA: Well, I think it's disgusting, wearing that kind of thing. JAMIE: Oh, aye, so it is, so it is. You don't see yourself dressed like that then? JAMIE: Oh, I'm sorry. It was just an idea. VICTORIA: We will now change the subject, please. Jamie definitely has an eye for Victoria! CLENT: Jolly good. Jolly good. Miss Garrett will give you some background information. You've worked with computers, I presume? DOCTOR: Only when I have to. GARRETT: Well, Miss Garrett is our computer specialist. She'll help you. DOCTOR: Oh, I'll try and remember that. GARRETT: Here we are completely computerised. GARRETT: Every decision is checked to eliminate risk of failure. Because of course, all decisions, all actions, must conform to the common good. This will be picked up again in later episodes. 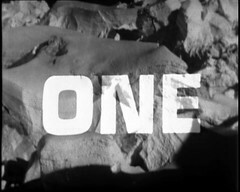 These episodes have their own special story title, writer and episode number captions, against a snowy background and accompanied by vocalisation, that appear after the title sequence. 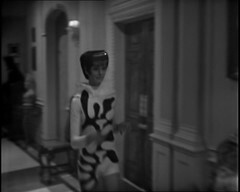 Interestingly the Episode Numbers appear as One, Two etc with no word, neither the Episode used from the Savages or Part used from Time Warrior. Still at least we can see it. Have you tried down the back of the fridge? If you loose something it's almost always there! 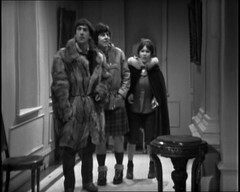 Of all the stories concerning the episodes of Doctor Who "returned" to the BBC this is easily the funniest because the episodes never left the BBC at all! In 1988 BBC Enterprises were re-locating from their home in Villiers House. Prior to departure a search was made of the building and a pile of old film cans was found. 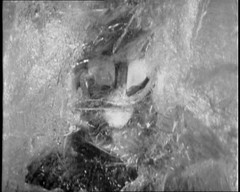 Included was a missing episode of Adam Adamant lives, 4 episodes of The Ice Warriors labelled as episodes Two, and Four to Six, plus a film can for Fury from the Deep Six which sadly later turned out to have a completely different program in it. The can for Episode Two contained Episode One. 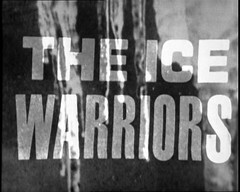 At the time of it's finding The Ice Warriors became the most complete season 5 story. 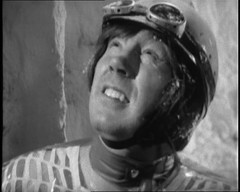 Davis, who left us in this episode, is played by stuntman Peter Diamond probably due to the fall in the avalanche which causes his demise! 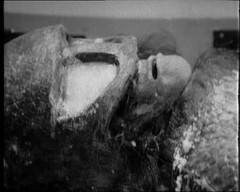 He'd previously been in the series as a stunt double in The Rescue, Delos in The Romans, which he also fight arranged, a Morok Technician/Guard in The Space Museum, again he was the fight arranger here too a role he repeated for The Chase episode 5: The Death of Doctor Who. He next appears as a Sailor in The Highlanders before fight arranging The Evil of the Daleks episode 5. He'll return next story as an Extra in The Enemy of the World episode 1 and The Doctor/Salamander in The Enemy of the World episode while in the War Games he's a Confederate Horseman in episode three, an Alien Guard in episode 9 and the fight arranger for episode ten. 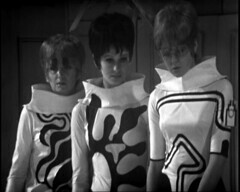 His final Doctor Who work is on The Dæmons episode three as a stunt double and as the fight arranger) for episode four. 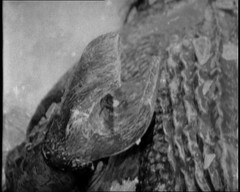 Diamond had previously been in Out of the Unknown: Sucker Bait as the first First Crewman, who I presume meets a grisly end involving a stunt! I've seen it, it's on the Out of the Unknown DVD Set but can't recall him or his character! He's also one of the few people who was in all three original Star Wars films: he's the Tusken Raider that attacks Luke in Star Wars as well as a Stormtooper and a Death Star Trooper. In The Empire Strikes Back he's the Snowtrooper Gunner that gets shot but the Millenium Falcon's gun in Echo Base's hanger and in Return of the Jedi he's the Biker Scout pushed off his Speeder Bike. He's been in everything that's ever been made for television as a stuntman too. Playing his supervisor Arden is George Waring. You can see him in Doomwatch: The Islanders as Busby and Survivors: Reunion as Walter. Monique Bryant who IMDB thinks is in all six episodes. Apparently she's also a technician in The Seeds of Death too which is something of a coincidence and sets off my "IMDB has got confused" radar warning! Apparently she's also a Woman Watching Show in Snakedance part three. 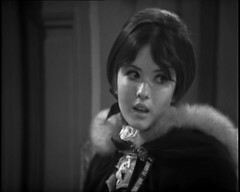 Outside of Doctor Who she was in Moonbase 3 as a Technician in Achilles Heel, Castor and Pollux & View of a Dead Planet and Blake's 7 Project Avalon as a Mutoid. 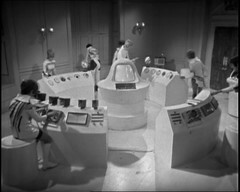 Other technicians in the Control Room include Kathy Fitzgibbon who had previously been an Inferno Customer in The War Machines: Episode 1. 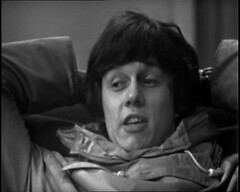 Gary Dean would return as a German Soldier in The War Games: Episode Three and a UNIT Soldier in Doctor Who and the Silurians: Episode 3. as well as playing a man in Doomwatch: Project Sahara. 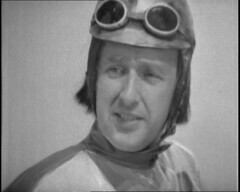 It will come as a surprise to no one to find out that Roy Skelton, previously a Monoid voice in The Ark, the Cybermen voices in Tenth Planet and Dalek voices in Evil of the Daleks, is the Computer Voice. Earlier in the year Ice Warriors was made and shown he had voiced the robots in the now missing Out of the Unknown episode The Prophet. When I first Blogged Doctor Who stories this episode was the point where we gave the VCR it's first use in the Troughton era followed by a two episode CD break for the missing episodes. Now we're on DVD for the whole story with the next two episodes being animated.